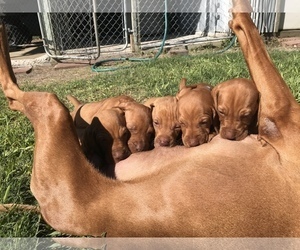 Absolutely adorable Vizsla puppies, 4 female and 2 male left. This is our 3rd litter with our family's purebred male and female Vizslas. We have always had this breed of dog since our children were born, and can't emphasize enough how great of a breed they are. Wonderful family dogs, eager to please, and as loyal as they come. We have begun basic training with the pups - potty training, sit, stay, here, etc. They will be ready for homes at the beginning of November. Items Included: Current vaccinations, all applicable veterinary care to the date of pickup, basic training. Very mild tempered, loyal, calm, extremely well-behaved. Loving, cuddly, higher energy than Sire but still very well-behaved. 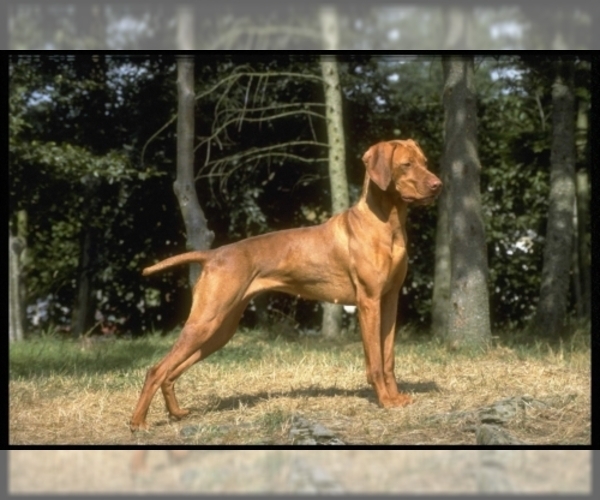 Has the vizsla hunting instincts and loves to hunt for anything.